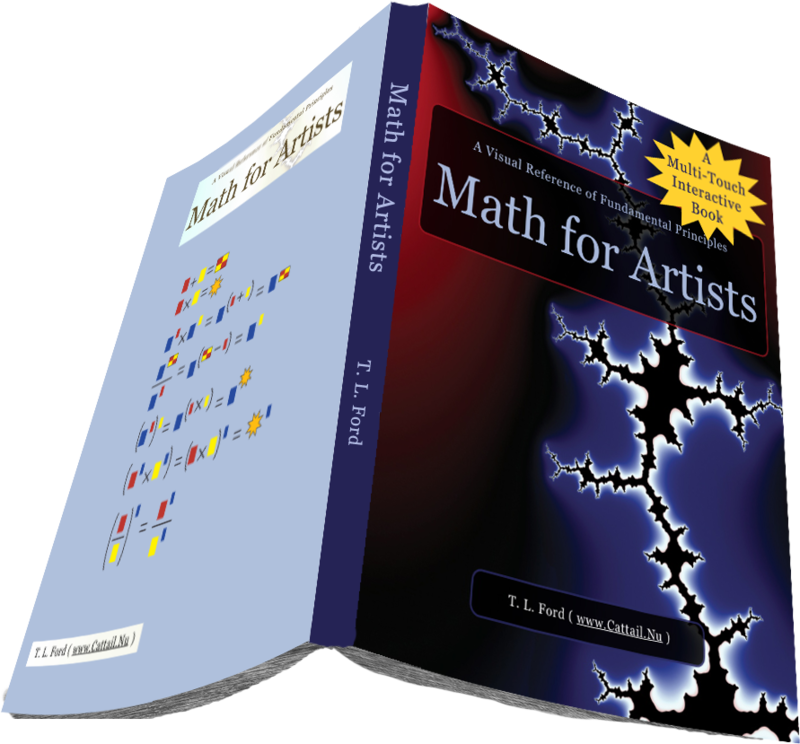 Math for Artists by T.L. Ford is an entirely visual / graphical adventure into numbers, exponents, and basic algebra. Music, video, and interactive objects create a rich reader experience decorated with many gorgeous, mathematically-generated fractal images. Each page is designed to speak to the side of the mind where no words exist. There’s understanding without labels, recognition of patterns, and synthesis of relationships. Log in with the user name and password provided in the book. 2012-01-31: Available for sale!!! Woohoo!!! 2012-01-28: Uploaded to the App Store for review. 2012-01-20: Started writing and preparing. Apple, the Apple logo, iPod, iPod touch, and iTunes are all trademarks of Apple Inc., registered in the U.S. and other countries. iPhone is a trademark of Apple Inc. App Store is a service mark of Apple Inc.